Be sure to check out the work of two of my fabulously talented yoga students while there! 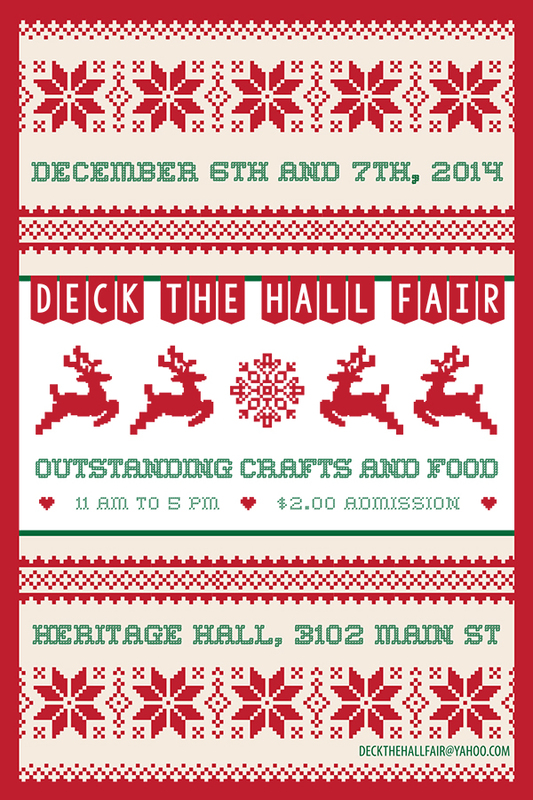 On Saturday December 6th and Sunday December 7th, 50 outstanding local artisans will come together in the historic Heritage Hall to display their wares. This eclectic show features handcrafted items for everyone in the family at every price point. You will find a great variety of jewellery, pottery, body care, woodcraft, photography, original artwork, folk art, unique up-cycled items, plus beautiful preserves, gourmet sauces, teas and much more. Heritage Hall is located at 3102 Main Street at 15th Avenue in Vancouver. $2.00 Admission. Kids free. 11AM – 5PM daily. Goin’ to Main St Car free day?